Hello there! We're starting a new challenge off on Polkadoodles today and we are using Flower Power. 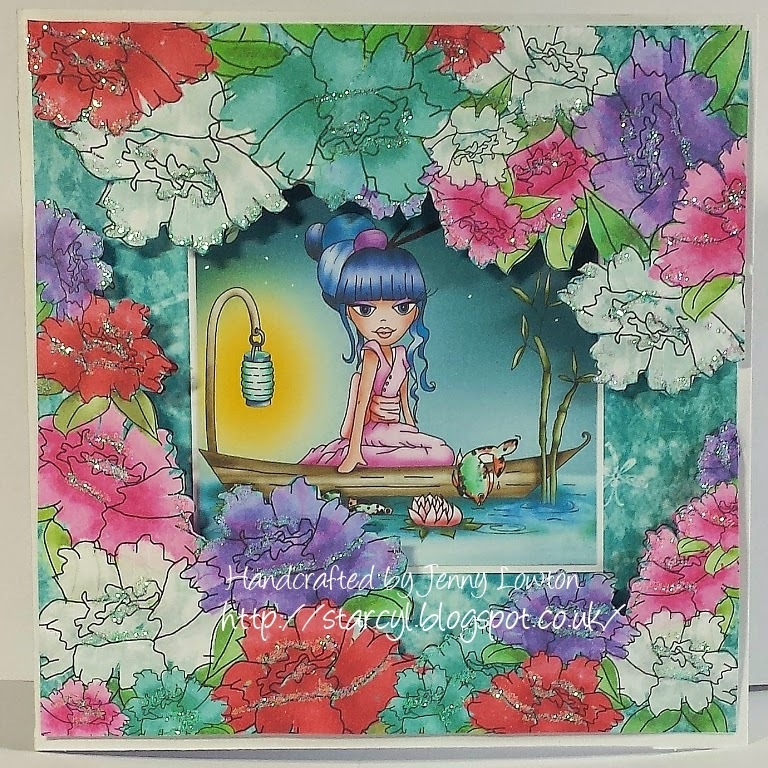 Oh so many things I could have used for this one but I decided to use the Dollie goes East cd but there are lots of digi's available with this collection so if you just fancy dipping your toe in with this style from Nikky then go over and have a look, I love them. I like to get value from my cd's and believe you should be able to make a complete card if you want to or if you are just starting out and don't have the tons of stash long term crafters accumulate. This card is made using two sheets of paper, some glue and some glitter, I'm guessing most of us can stretch to that! I opened my graphics package and resized the backing paper down to 5.5 inch square so I could get two onto one sheet of paper, I then used another sheet to print the topper and a couple of other things for use later. Iove this, it's so opulent & gorgeous!! Wow love those flowers, awesome way you look through them...image is colored wonderful. 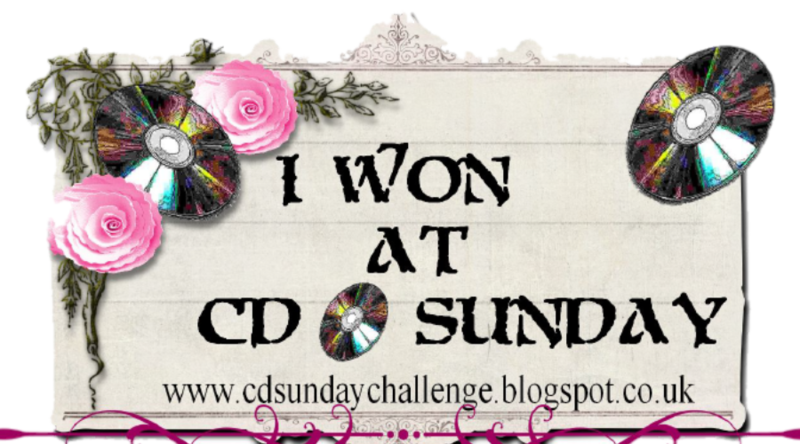 Thanks again for playing at 4 Crafty Chicks! OOOooooo I love what you did with those flowers ! This card is gorgeous! Beautiful card and full of colors! Thank you for joining us over at Decorate to Celebrate! This is gorgeous I love how you created the illusion of her floating behind the flowers. Thanks for joining us at Southern Girls Challenge. WOW! This is gorgeous, Jenny! Hi all Welcome to a window on my crafting world. sometimes the things I make make me smile, sometimes it's a grimace but whichever it is you can be sure I've had fun doing it. I do hope you enjoy looking at the things i do and that you'll come back to visit again soon. I am married to a fabulous man who is very understanding of the way I seem to spend money like it is going out of fashion, so no problems there. I live in Wigan and for those of you who don't know it is between Liverpool and Manchester, I have been here for the majority of my life but am originally from Liverpool.